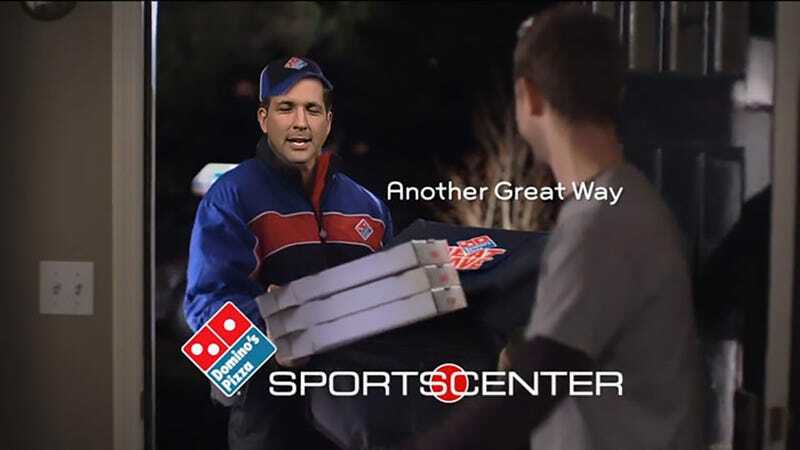 Remember that pair of strange recent tweets from Adam Schefter and Chris Mortensen suggesting that the two ESPN NFL insiders would be staying in on New Year’s Eve to watch the college football playoff and eat Domino’s Pizza? They were, indeed, part of an ad campaign. ESPN says this is all a mistake and that future tweets associated with Domino’s ad buy with the network will be compliant with federal law. Which is fine, though we’re still skeptical that New Year’s Eve means either college football or pizza—and so were the millions of fans who didn’t tune in for this year’s college football playoff games.